This quick and easy spicy garlic shrimp pasta is one of my favourite recipes for busy weeknight meals or for special occasions! 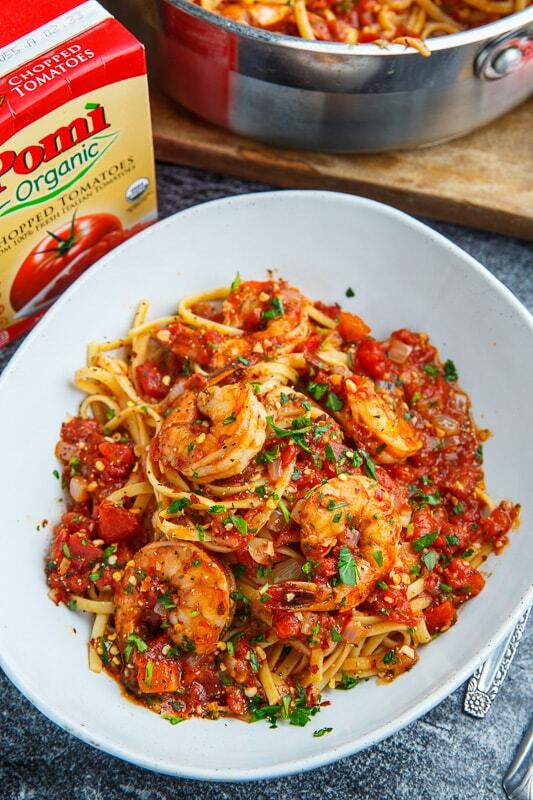 The combination of shrimp in spicy garlic tomato sauce using Pomì organic chopped tomatoes comes together with almost no effort and it’s sure to impress! If you’re still looking for a last minute Valentine’s Day dinner, look no further! 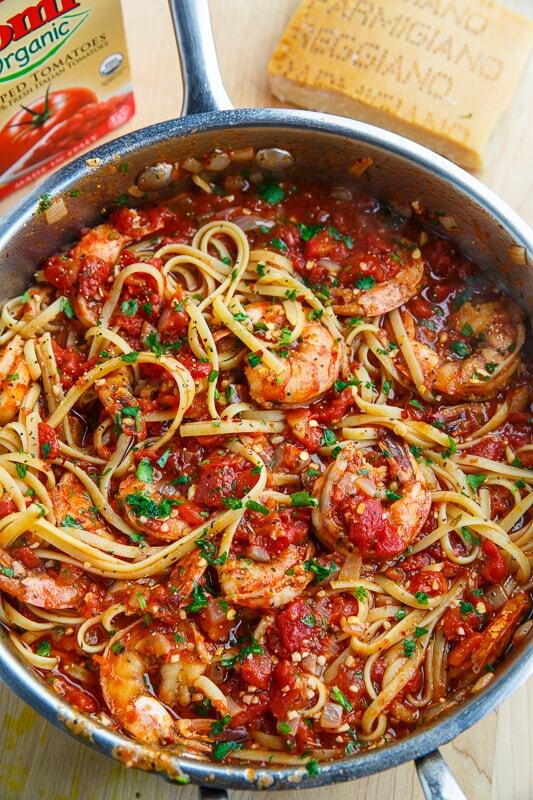 Check out my tasty spicy garlic shrimp pasta recipe on Pomì! Disclaimer: This post was sponsored by Pomì. All Opinions are my own. The photo looks lovely and it looks really delicious! Will try it out someday! I made this last night for dinner. Very easy and simple recipe. Delicious results. I didn't use clam juice and subbed for veggie stock. My husband really enjoyed this, but asked that I add more red pepper flakes next time. Not spicy enough for his taste! This recipe is great for a yummy weeknight dinner! Love your recipe selections. Always keepers! Thank you for doing all the legwork! The recipe finally appeared. Thanks.